An update for the Zoe app, made by HTC for One device owners, is now available to download on Google Play. Inside the update, which is rather large in terms of additions, users can now create highlight videos locally, with nothing going up into the cloud. 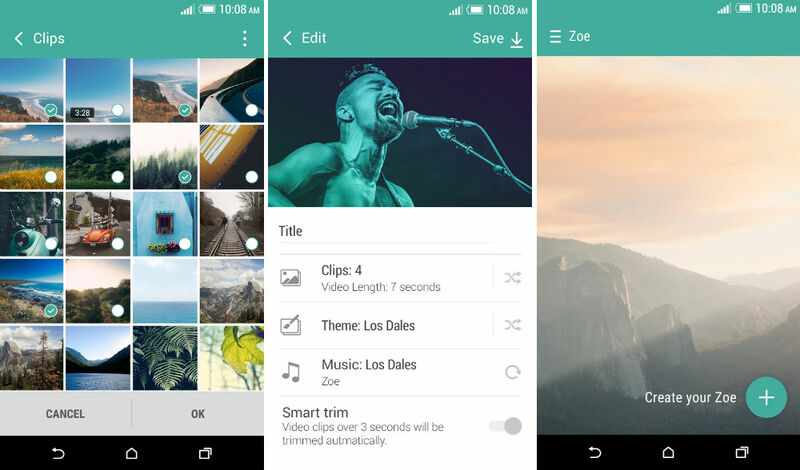 Added features also include a Smart Trim tool, allowing users to trim clips inside of a video. The maximum length of a Zoe has been pushed from 30 seconds to 3 minutes, and you can now download your existing Zoes from the cloud with your login online. If you rock a supported One device, go get that update. Create highlight videos locally on your phone without uploading. Maximum length increased from 30 seconds to 3 minutes. Include as many clips as you like within the 3 minute time limit. Smart Trim. Toggling smart trim on/off enables video clips to be trimmed or to play in their entirety within the Zoe. Login to download your existing Zoes from the cloud.